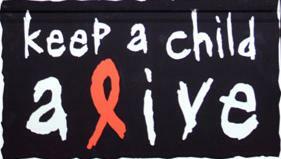 Dec 1, 2010 World Aids Day The “keep a child alive” logo had me at hello. The premise “I’ve sacrificed my digital life to help give real life to millions of people affected by HIV/AIDS in Africa and India” rings a little hollow, even for Hollywood. Granted, the idea is clever, creative (and a lil’ bit creepy) capitalizing on the celebrity zeitgeist (in coffins, with epitaphs and “Kim Kardashian is dead, Alicia Keys is dead, etc” ablazin) all to raise money and AIDS awareness via “last tweets and testaments” so these top tweeps can “buy their digital lives back” at buylife.org —but the comparison of media detachment to life-lines/nourishing sustenance feels a little bit (unintentionally) crass. Not sure if it’s the somber tonality of the stars’ own faux demise coupled with “And could you hurry it up please?” (as if their media lives were impinged upon, and gosh, could you just hurry up and text BUYLIFE to 90999 so we can raise the mill and get back to being glam?) Or if maybe it’s sour grapes on my part, knowing a million is “pocket change” for some of these big wig personalities when I see real life heroes like our own Shaping Youth advisory board member and Tapestries of Hope filmmaker Michealene Cristini Risley scrape paltry sums together to document noble HIV/AIDS stories of GCN. (Girl Child Network’s Betty Makoni made the ’09 Top Ten CNN Heroes for her work in Zimbabwe) Video is after the jump, see for yourself…Maybe I’m being a cause campaign killjoy? Everyday more than 7000 people are infected with HIV worldwide so it DOES make sense to “strike from all sides” but celebs hushing up billed as the ‘ultimate sacrifice’ is the rub, even though I like the outreach intent. Maybe if they paired with the pragmatic campaigns more, like UNAIDS “Prevention Revolution” —and MTV’s fabulous GYT (Get Yourself Talking, Get Yourself Tested) social media campaign for youth (they’ve even turned MTV red for World Aids Day). All in all, I hope it ‘goes viral’ and rakes in millions (other celebs could out-splash with cash) but from a grassroots level it’ll take much more than ‘trending for a day on Twitter’ or raising $1m so they can get their media back… I love Alicia Keys’ work for charity, it’s just NOT an “‘ultimate sacrifice” to leave followers in the dark. She’ll still get my $5 (TEXT Alive to 90999) support in an ‘every little bit counts’ effort. Does the ‘self importance’ prioritization overshadow the more whimsical outreach funfest to reach and engage with a new audience? Or are you in the “it’s all good” camp? I’ll slide to the latter if the cause can gain traction virally to raise awareness sustainably rather than feel like a one-day ploy. Let’s make it go viral for World Aids Day today, Dec 1, 2010! I love the concept, but really, the advertising campaign for this one is a little ridiculous.